Transpack Skiboard Bag 165cm Black/Blue/Gray for longer skiboards/skis or snowboard. This bag is 165cm with cinch straps, shoulder and hand carry handles. You can fit boots, clothes, goggles. Great for travel. 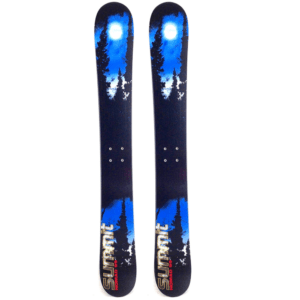 Have skiboards with snowboard bindings or two pair you want to travel with? 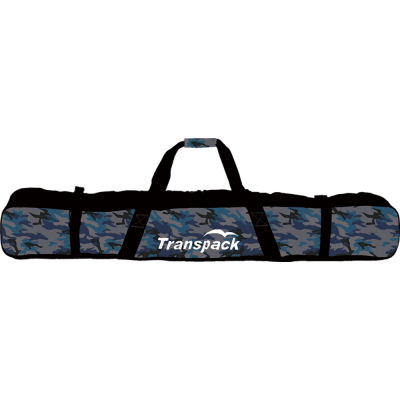 The Transpack Skiboard Bag 165cm Black/Blue/Gray is perfect to fit longer skiboards/skis. This bag is 165cm in length. Excellent to protect and carry your skiboards to the mountain or travel on those exciting ski trips and protect your skiboards in transit. This Transpack Skiboard Bag 165cm Black/Blue/Gray features a full length opening and has adjustable straps that secure your skiboards. Bag is waterproof, padded with a durable coating for better protection during travel. Bottom is reinforced. 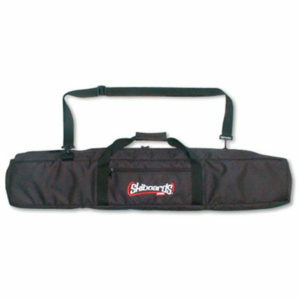 Includes adjustable shoulder strap with padded handle. Fabric: Super tough water resistant 600 denier coated polyester. 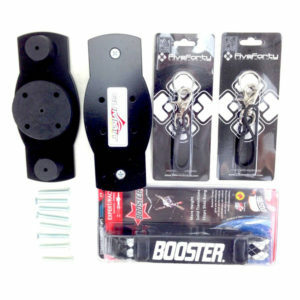 Compression straps for load control and size adjustments. Heavy duty double locking, self repairing nylon coiled zippers. Industrial strength material and components. Summit Marauder 125, Summit Invertigo 118, Summit Custom 110, Summit CRZ 106 or Carbon Pro 110 all with snowboard bindings. This also includes extra room for gloves, clothes, snowboard boots and more. 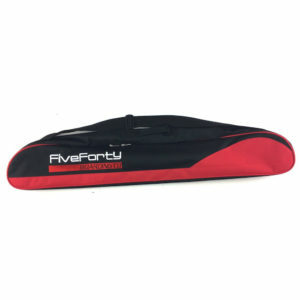 You can also use this to transport longer skiboards including the Atomic 125, Elan 135 and Salomon 120 and 130. This is big enough to also transport 2 pairs of skiboards. More Essential Gear for Skiboarding.